Reigniting your gas furnace pilot light is something that is relatively simple and could save a service charge for a simple task. Here are the clear and easy steps to take while attempting to reignite your pilot light yourself. While in your house, turn the heat and cool switch on your thermostat to off. When you arrive at the furnace, get your lighting in place to see inside the furnace. Lay your lighter to ones side within reach and determine how to remove the furnace panel that gives you access to the gas valve and pilot light. Set your expectations at this point. If you are not able to easily access the area you need to then you should not hesitate to ask a family member or nearby friend for help. Don’t assume the worst. It may be an inexpensive part that needs replacing. Turn the button on the gas valve to the off position for a minute. Then turn it to the pilot light position. Push the button in and place your flame where the thermocouple and pilot gas line meet near the burners. Once the pilot light is lit, keep holding the button down for a minute. Then turn the button to the on position. If the pilot light stays lit, put the covers back in place on the furnace. Go back to the thermostat and set it on heat with the temperature at the desired setting. When you return to the furnace, with the cover on you should be able to hear the burners have ignited. After the furnace heats up, the blower will come on. If for some reason the furnace is still not working, or you weren’t able to fix the problem then contact an Edmonton furnace repair specialist, like those at Comfortable Home Systems, for help. There are many reasons why a pilot light may go off. So there are as many reasons why it does not stay lit. As explained before, unless your furnace has been used for many years, it is most likely a relatively inexpensive part that needs replacing. 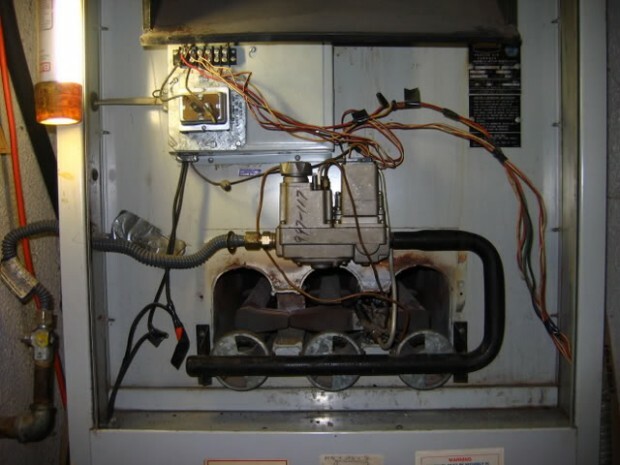 Only a highly trained professional will be able to examine the furnace and determine the needed repair.